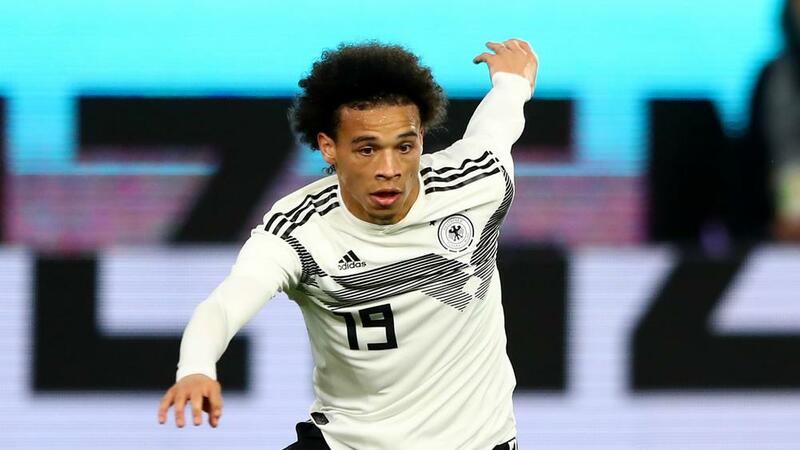 Joachim Low confirmed that Leroy Sane is fit to face the Netherlands in Germany's European Championship qualifier on Sunday after being the victim of a "vicious foul" against Serbia. Sane hobbled off in second-half stoppage time in Germany's 1-1 friendly draw after a challenge from Milan Pavkov that earned the Serbian a red card. Serge Gnabry missed the game due to an illness but Low confirmed that both players would be fit for the start of his side's Group C campaign at the Johan Cruijff ArenA, and said Manuel Neuer and Toni Kroos would be in his starting line-up. "Both Leroy Sane and Serge Gnabry are fit and available to play," Low told reporters. "I can confirm that Manuel Neuer and Toni Kroos will both start the game. "There's always a special atmosphere in this fixture. We want to have a successful qualifying campaign and obviously results are key to that, but we're also after a continuous development within the team. "Netherlands have great chemistry and will be highly motivated. But we're well equipped to put in a good performance here tomorrow night, and we will." Kroos was among the substitutes against Serbia but is set to partner Joshua Kimmich at the heart of Germany's midfield against the Netherlands. "We have had some good performances recently with a back-three," said the Real Madrid playmaker. "But we're very familiar with a back four, too. I feel comfortable in both systems." On his prospective partnership with Kimmich, he added: "The last few games have shown that we work well together. "We complement each other - it's certainly an option long-term."